March marked the 5th birthday of this blog (March 2010). April marks the 9th birthday for The Colorado Sound (April 2006 / KRFC) and the 3rd birthday for The Colorado Sound Live365 (April 2012). March, like Feb and Jan, hit historical highs for page views for the month. March also hit historic lows for the number of spins statewide for Colorado music, and the lowest number of stations spinning 10 or more titles since I began keeping track, nearly seven years ago now. I really struggled with that. March also registered the lowest number of hours listened to The Colorado Sound Live365, and the fewest number of people streaming the station. Tracking spins is always challenging. Several of the smallest stations have no way of measuring or determining what titles they play. Most of the time there’s no central accounting system in place and there can be over 100 individuals on the air in any given month. Even some influential stations in the state have no effective means of tracking spins. That alone presents some interesting challenges, especially if those stations stream online, but that’s an entirely different set of problems best left undiscussed here. Only seven of the fifteen stations surveyed managed to air ten “currents” (titles up to 18 months old). And the difference in the number of over- the-air “exposures” (spins per station x number of station frequencies x number of stations) between the top of the charts and the rest was significant enough for me to tell you about it. That we had what I think is at or near an historic number of debuts (13) this month is due also, I believe, to the low number of titles being played per station in March. The number of titles tracked also fell to 187, the first time that number has fallen beneath 200 in over 3 years – although the total number of titles aired is about normal for the month at 108. Bill Frisell‘s wonderful “Guitar In the Space Age” rocked the top spot for the 3rd consecutive month, out blasting the stellar new albums by heavyweights like Chris Daniels & the Kings who continued their assault on the top position for a second month, and the new Richie Furay (Buffalo Springfield, Poco) release, “Hand in Hand,” that debuts at #6 this month. Jeff Austin manages to jump to #3 with “The Simple Truth,” remaining in the TOP 5 for the second month since his January release. Hot Rize also holds onto TOP 5 status since being released last September, a tremendous accomplishment to be fair. Cracker made the cut for VIDEO PICKS OF THE MONTH with California Country Boy (sung by Johnny Hickman) shot as part of the Gondola Sessions at Aspen/Snowmass. Cracker is David Lowry and Johnny Hickman. Johnny Hickman lives in Northern Colorado. He also plays in the Hickman-Dalton Gang with Colorado native picker Jim Dalton, and has maintained a solo project with musicians here in the area. He has also been very involved with working with and supporting other Colorado acts, such as the Yawpers for whom he produced the single “Faith and Good Judgement” (SpokesBUZZ Vol. V). And fortunately for all of us here, we’re seeing the band play more here in Colorado. They just played the Moxi in Greeley recently, and will be appearing at the Mishawaka on June 6 as well as other dates regionally later in the summer. In the least, Cracker is considered to have a Colorado Connection (CC). 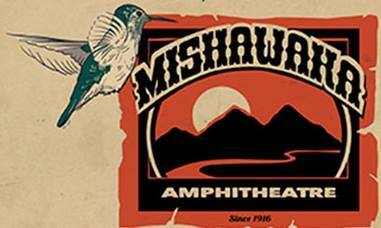 The historic Mishawaka Amphitheatre, Northern Colorado’s Musical Playground, and seriously one of the most badass music venues in the state. I’m very happy to be on board co-presenting LOCALS x LOCALS featuring Cracker with Post Paradise, Winchester Holiday, and The Colorado Sound Saturday June 6th, 2015 4:00 PM (Doors at 3:00) AND Hazel Miller | Chris Daniels & the Kings with Goatz! (my band) and William’s Reserve (my son’s band) on Sunday Aug 9, 2015 4:30PM (Doors at 3:30) TICKETS ON SALE NOW for both events. New cuts from Richie Furay, Cracker, and SHEL lead the picks this month that also includes music from Rocky Mountain Celts, along with new hip-hop from Glimmer Twins spin-off Grim & Darling, new electro-pop from Ronitt, and new country-folk from John Statz, who’s latest album “Tulsa” picked up a few stations in March. Enjoy. Analog Son – Stomp and Shout! Stations monitored for spins = KAFM, KBUT, KDUR, KGNU, KOTO, KRCC, KRFC, KRZA, KSJD, KSUT, KUNC, KVNF, OPENAIR 1340, Radio 94.9 Colorado, The Colorado Sound radio show and The Colorado Sound LIVE365. Stations with minimum 10 “currents” featured in breakout. 3. Analog Son – Stomp and Shout! Next Next post: A Poll – what are you buying?